As the market grapples with the shock that swept 800 points off the Sensex, we look into the reasons why the RBI decided to hold key rates against market expectations of a rate hike. The Monetary Policy Committee (MPC) presented the October monetary policy at a time when the macros were starting to get disconcerting. The rupee was getting closer to 74/$, and bond yields were hovering around 8.20%. The trade deficit nears ~$18bn/month and the current account deficit (CAD) is getting closer to 3% of the GDP. It is in this background that the MPC announced the fourth monetary policy of the fiscal year. The RBI has maintained status quo on repo rates at 6.50%. This is contrary to the popular perception that the rates would be hiked by 25bps. As a result, the reverse repo rate remains at 6.25%, which is a fixed spread of -0.25% on the repo rate. The Marginal Standing Facility (MSF) rate and the bank rate also stood at 6.75% each, which represents a fixed +0.25% spread over the repo rate. The MPC has reiterated its commitment to rein in long-term inflation below 4% and has opted to keep the cash reserve ratio (CRR) unchanged. The stance has been changed from “neutral” to “calibrated tightening” suggesting more rate hikes in the future. When the RBI hiked the rates twice in June and August by 25bps each, the expectation was that the RBI had already front-ended the rate hikes for the entire year. However, the sharp fall in the rupee and the potential for higher inflation led to worries of another rate hike in October. One fact that worked against a rate hike in October was the likely after-effects of a global trade war. The US has already imposed penal tariffs on imports to the tune of $250bn from China. At the same time, China has imposed penal tariffs on imports to the tune of $110bn from the US. These higher tariffs are likely to compress global trade, and consequently, GDP growth in major economies. The MPC’s perspective was that India was also likely to be impacted by the lag effects of this trade war. Hence, a more benign rate regime for now would be consistent with the government’s objective of maintaining growth rates higher. With the first quarter GDP surging to a level of 8.2%, the MPC did not want to take any chances with growth. In its latest Fed policy announced in late September, the US Federal reserve hiked rates by 25bps. More significantly, it removed the word “Accommodative” from its outlook. While the US Fed has stopped fresh purchases of securities nearly four years ago, it was still rolling over the existing securities. This twist in the statement meant that the US Fed may gradually start unwinding its $4.6tn bond portfolio. This would create a massive liquidity crunch in the global economy. It could get worse if other central banks like BOJ, BOE and ECB join in the tightening. The MPC decision to keep rates constant is in line with that belief. But, what about inflation and the outcome of higher MSP? The big question is regarding the minimum selling price (MSP) front. The government has already announced MSP for Kharif crops at 150% of the cost of production. The Kharif impact will be known soon. In fact, after the farmer’s agitation, the government also announced sharply higher MSP for Rabi crops, which are sown in the winter season. The RBI is still committed to the long-term inflation target of 4% and the key question is whether this can be protected. The good news was that food inflation has substantially moderated and the CPI inflation for August at 3.7% was sharply lower than the 4.9% announced in the previous year. With Kharif output in 2018 estimated at 3.5% higher than last year, the higher MSP may not really result in any runaway impact on CPI inflation. Moreover, the actual inflation in July and August being lower than RBI estimates gives the MPC the confidence to go ahead with its status quo on rates. 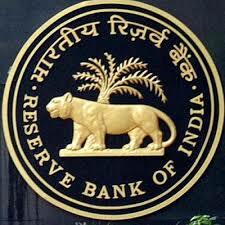 Why the RBI did not react to the US Fed rate hike? Unlike the US$, the INR does not enjoy the exorbitant privilege as a world trade and reserve currency. That explains why the rupee has tanked to 74/$ despite two rate hikes by the MPC. Rate hike was not the answer to the INR weakness. The global inflows have continued and sharpened despite the RBI hiking rates by 50bps in the last four months. FPI flows are typically determined by expectations of bottoming of the rupee and not by rate hikes. In these circumstances, the RBI has surely surprised the market by maintaining status quo. The real picture will only be visible once the minutes of the MPC meet are announced on 19th October. While five out of six members voted for status quo on rates, there was a also a 5:1 vote in favour of changing the stance of monetary policy from neutral to calibrated tightening. That could hold the key to the central bank’s stance in the December policy.